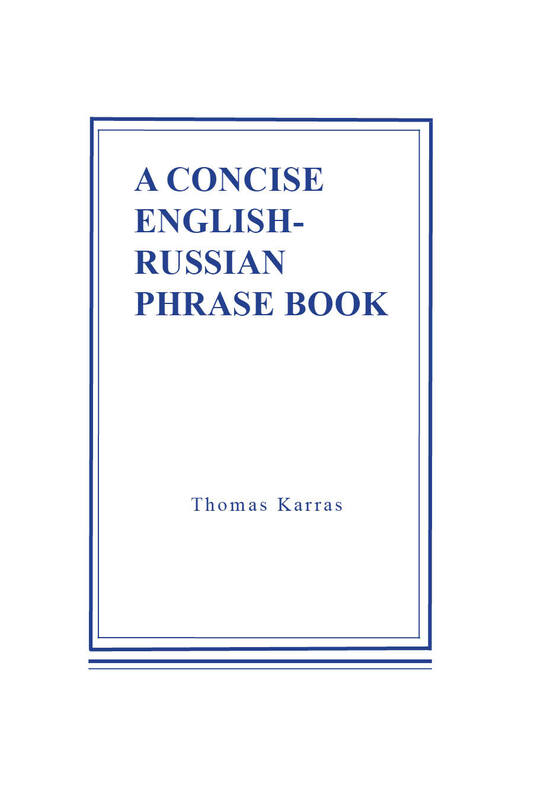 This is a different type of phrase book: it is not intended primarily for travelers, but rather for all students of Russian, from the elementary through advanced levels. The sample page reprinted on the opposite page of this catalog gives an idea of the structure of the book: it is divided into 84 categories, and within each category a mixture of individual words, phrases, and whole sentences are given. Each category is taken in a broad sense to include related words and concepts, synonyms, and antonyms. Categories most frequently take up one or two pages, with a few covering three pages. The text is completely stressed, making it much more useful for the learner. Imperfective and perfective pairs for the verb are given, and verbal government is indicated. Both feminine and masculine forms are given in most cases, especially for nouns and short-form adjectives. Karras' book gives all students, from beginning to advanced, a starting point for conversations, and it gives intermediate and advanced students a source to fill in the gaps in their vocabulary and phraseology. Categories covered in the book include: advice, age, anger, appointment, argument, arts, book, business, car, clothes, country, crime, criticism, death, face, family, farm, farm animals, fear, food, friend, gossip, hair, happiness, hate, health, help, house, ignorance, illness, income, information, injuries, insult, job, knowledge, landforms, language, letter, life, love, marriage, military, minerals, money, movie, natural disaster, news, newspaper, opinion, pets, physique, plant, politics, price, pride, problem, protest, rain, recreation, religion, road, school, seasons, shopping, space, special occasion, speech, sports, telephone, transportation, travel, tree, vacation, vices, virtue, vocations, walk/run, war, water, weapons, weather, word, zoo. If you travel to Russia, you will find this book useful; if you simply want to improve your Russian, you will find it indispensable!